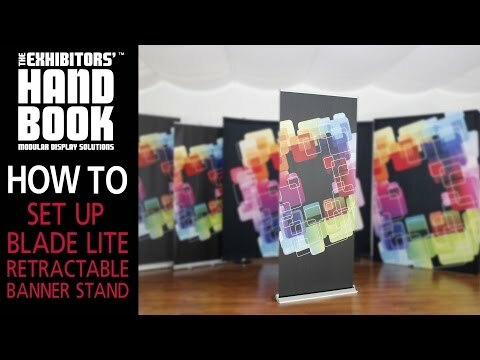 Blade Lite 800 is an exceptional retractable banner stand for all types of environments, including retail, corporate, conferences, events and more! This durable stand is an attractive option to make an impact on your audience, and provides ease of use from setup to storage to shipping. Graphic dimensions are 31.5" wide and a variable graphic height or 60"-83.25". © 2019 Production Plus. All Rights Reserved.